With richly colored foliage, crisp breezes and the scent of apples and pumpkins in the air, Fall is our favorite time of the year in Boston. If you're planning a trip to the city, or looking for some fun activities for you and your family, we've got you covered. Open daily through October 31, 2018. 8am - 6pm. 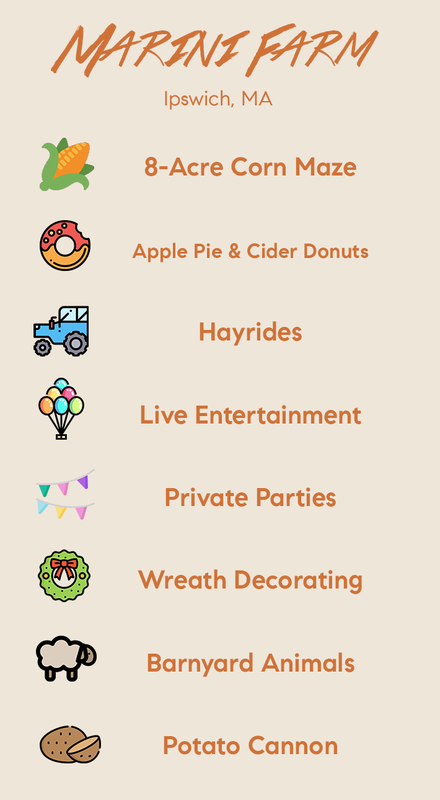 For over 100 years, Connor's Farm has offered a wealth of family fun activities. 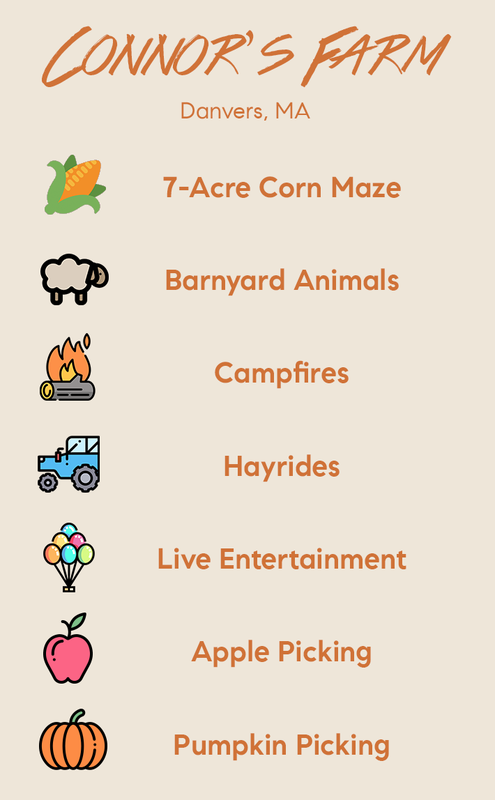 In addition to a 7-acre corn maze, children and parents will enjoy apple and pumpkin picking, hayrides and visits to the barnyard animals. 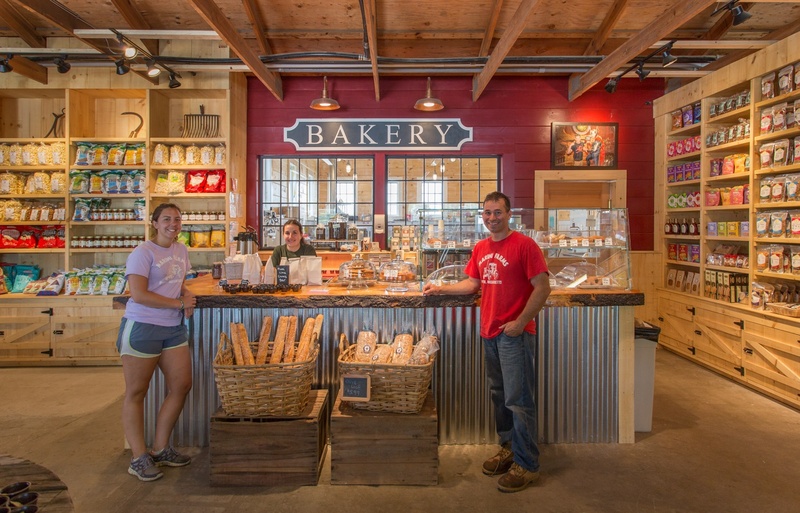 Farm stand hours: 7:30am - 6:30pm daily. Maze park hours: Sunday - Thursday 10:00am - 6:00pm. Friday and Saturday 10:00am - 10:30pm. For three generations, Marini Farm has grown some of the best and most flavorful fruits and vegetables available on the North Shore. 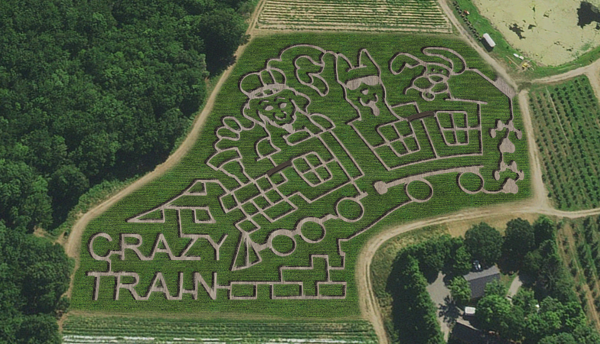 As fall finds its way to the farm, their spectacular corn maze opens delighting families and adventurers from throughout New England. Open daily 10:00am - 5:00pm. One of the oldest working farms, in the country, Belkin Family Lookout is a staple in Boston, and the closest to the city. 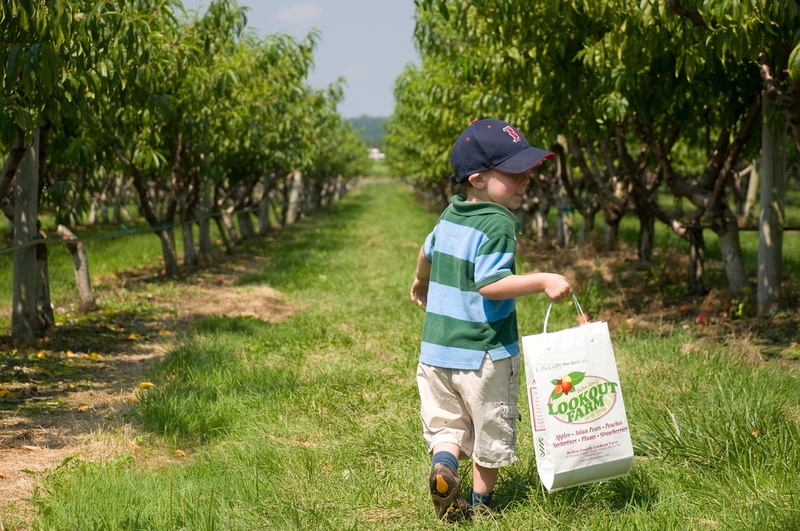 With Asian pears, apples and pumpkins, you will find plenty to pick here. Families can enjoy a hay pyramid, farm-themed play area, moon bounce and more. The weekend brings delights such as face painting, farm animals, train rides and more. Over 21? Stop in the taproom! -From South Hadley, take MA 47 North to Sunderland. -Bear left on MA 116 North to Mount Sugarloaf State Reservation. -Bear left on Sunderland Road, North toward Montague. -Follow Turners Falls Road into the village of Turners Falls. 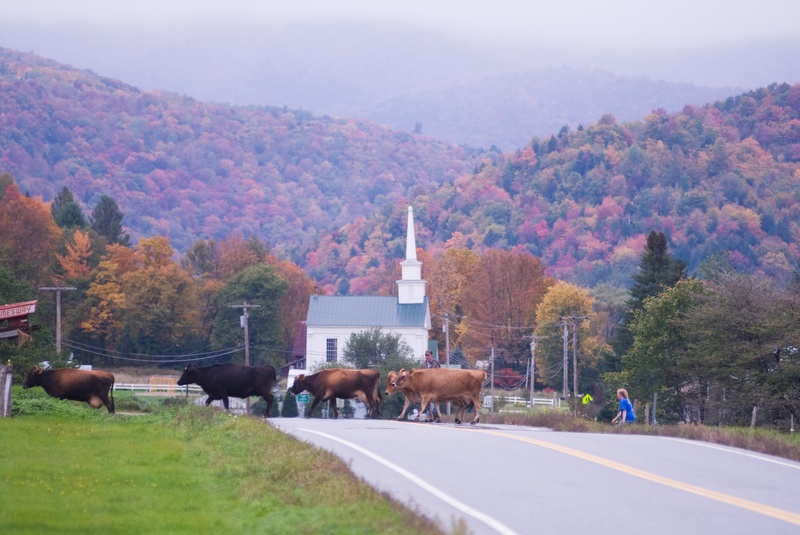 -From Vergennes, take US 7 South. -Bear left on VT 17 East to Bristol. -Follow VT 17 East to Waitsfield. 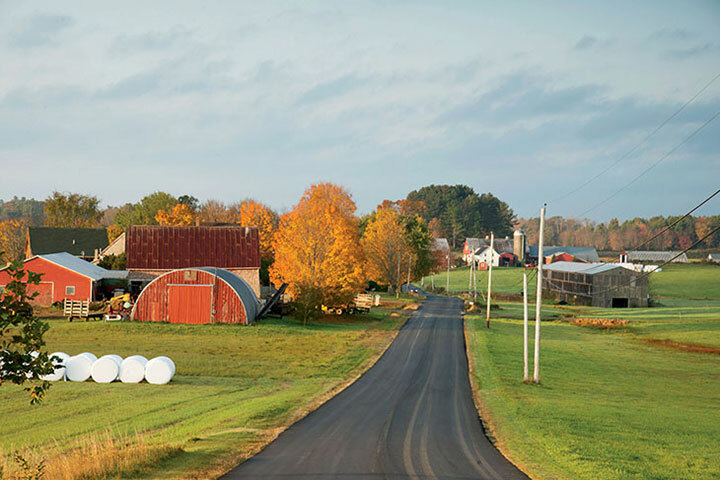 -Follow VT 100 North to 100B North through Moretown and Middlesex. -Bear right on US 2 East to Montpelier. -From Wiscasset, take ME 218 North to Whitefield. -Bear left on ME 194 West, then north on Townhouse Road to ME 126. -Bear right on ME 126 East, then right on East River Road. -Bear left on ME 194 East, then left on Hollywood Boulevard. -Take Hollywood Boulevard toward Head Tide Village. 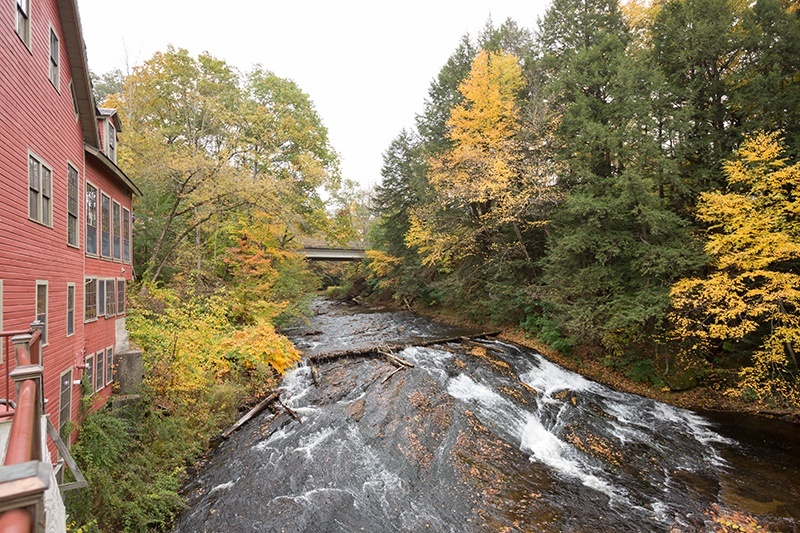 -Drive west on Route 116 through Greenville, turning west on US 44 toward Chepachet. 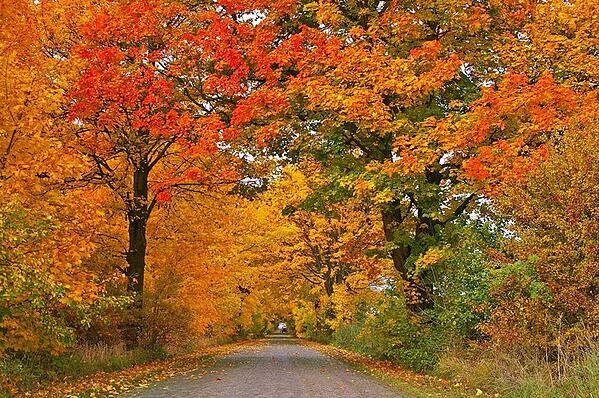 -Follow U.S. West through the changing leaves in Pulaski Memorial State Forest. -Turn left onto Route 94 and follow this for 13 miles to Route 102, then continue southeast another 20 miles to Exeter. This route is lined with pristine hardwood forests, red maple, white oak, beech, elm and poplar trees. -From Route 102, continue east to the Colonial seaport of Wickford, whose harbor opens to Narrangansett Bay. Stay tuned on the Boston Real Estate blog for upcoming haunted attractions around New England!